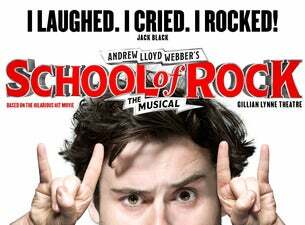 Unleash your inner rock god as hit Broadway musical School of Rock comes to the West End. Andrew Lloyd Webber’s new musical is based on the iconic, hit movie, and follows Dewey Finn, a failed, wannabe rock star who poses as a supply teacher at a prestigious prep school in order to gain more money. But his connection with the supposedly snobbish straight-A kids proves electric, as Dewey transforms the brood into guitar-shredding, head-bopping, mind-blowing rock stars. The question is though: can he get them to win the Battle of the Bands without their parents or the school’s uptight headmistress from finding out about their secret super band status?